A unified communication platform is another important social HR tool. Wikipedia defines unified communications as integration of real-time communication services such as instant messaging (chat), presence information, telephony (including IP telephony), video conferencing, data sharing (including web connected electronic whiteboards and interactive whiteboards), call control and speech recognition with non-real-time communication services such as unified messaging (integrated voicemail, e-mail, SMS and fax). The following free unified communication tools are available in Bitrix24. 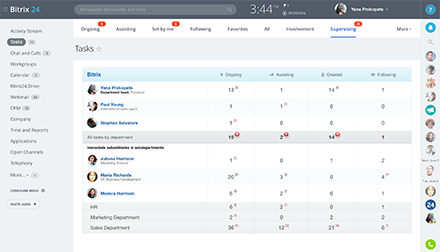 Social intranet and private social network allow your employees to communicate inside the company using a familiar social network interface. These interactions are more informal and self-organizing than traditional top-down communication channels. 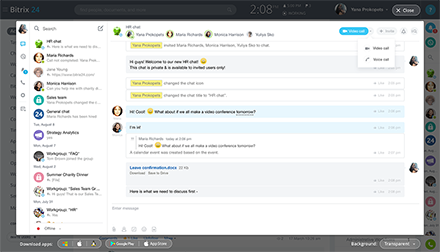 Real time communication tools, such as instant messenger and group chat, are a critical component of any UC platform, especially concerning its adoption rate among users. 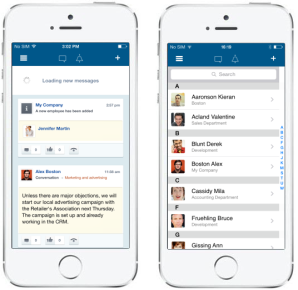 Workgroups and a convenient group chat interface are especially important for small teams. Email is not going away. A unified communications system allows users to use the best tool for the job. Interfacing with clients is often a job for email, so tools such as helpdesk and CRM need to integrate seamlessly with email communications. 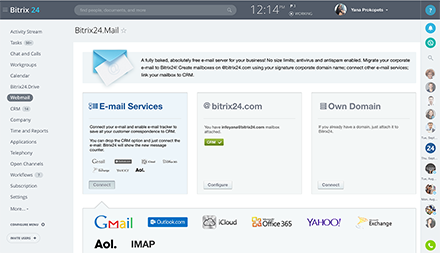 Bitrix24 does exactly that, appending messages in the appropriate record, as well as managing email marketing campaigns. 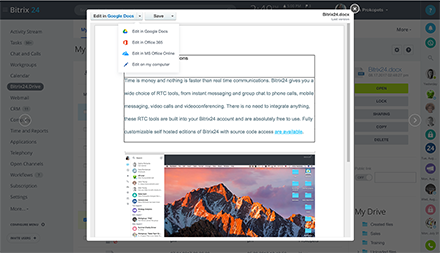 Bitrix24 lets you call your coworkers or clients directly from your web browser. Phone calls can be recorded, if necessary. Mobile intranet serves several important functions. Obviously it provides access to company intranet from mobile devices. Also, it allows to send and to receive intranet chat messages from the smart phone. Employee directory and files are also available on the go. 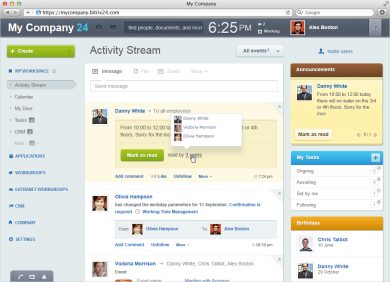 In addition to that, Bitrix24 mobile intranet also doubles as mobile CRM, providing access to client data. 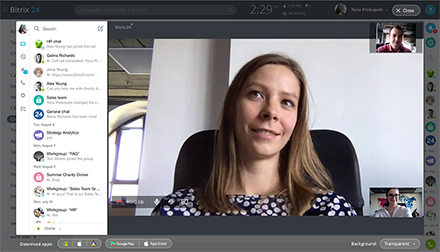 Though traditionally used by distributed teams and companies that have multiple locations, videoconferencing is now widely used for many purposes ranging from employee training to sales meetings. All modern united communication platforms offer secure document sharing. Bitrix24 goes further, letting you create and edit documents online with several contributors simultaneously. An online workspace is an ideal communication and collaboration medium for small teams who are working on a same project. Typical workspace contains tasks, documents, conversations, a wiki and other online collaboration tools. 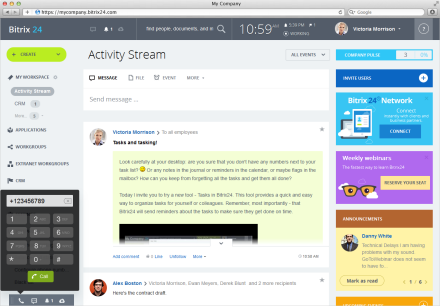 Importantly, you can invite external users to your online workspace via Extranet option. Meet your new Bitrix24. Fall 2018 Presentation.